The French edition of Vogue magazine, Vogue Paris, is a fashion magazine that has been published since 1920. With the edgiest designers, the greatest photographers and the latest collaborations, meet the biggest talents in the business with Vogue Paris, from established names to up-and-coming young designers. 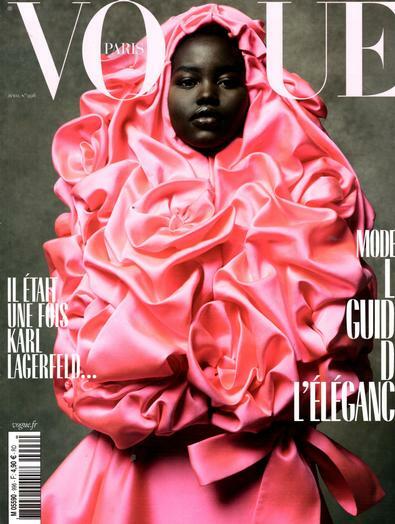 Vogue Paris sets trends, makes names and dares to go where no other title will. Be the first person to tell us what you think about Vogue Paris and you'll save $5 on your next purchase!